If you're looking for a management career in retail, it's a good bet you're going to wind up in Colorado. A substantial number of the largest U.S. retail chains have chosen to locate their retail headquarters and the corporate management jobs they entail there. 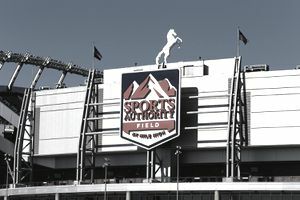 Crocs, QVC, and Sports Authority have all located their headquarters in Colorado. As the state also is a hub for technology companies, some of the big online retail names have their corporate offices there, too, including QVC, Lillian Vernon, and eBags.com. Regional chains like King Scoopers Supermarkets, Aspen Skiing Company, and Lamar's Donuts base their operations in Colorado as well. The types of retail management-level jobs that would typically be based in corporate headquarters offices include C-level senior executives, category managers, marketing managers, competitive intelligence analysts, buyers, and consumer psychologists. The headquarters-level managers and executives of some of the largest U.S. restaurant chains, including Qdoba and Red Robin, also manage their national and global operations from Colorado. Colorado's geographic location makes it an attractive home base for restaurant chains with national expansion aspirations. Black-Eyed Pea, Boston Market, and The Egg and I are among the national and global restaurant chains that have their roots and their headquarters in Colorado. Since American dining trends are shifting towards healthier eating, it makes sense that new and cutting-edge restaurant chains would find an eager audience of diners in health-conscious Colorado. Chains including Chipotle, Smashburger, and Noodles and Company have loyal Colorado diners to thank for their successful launches. The retail career path still allows employees to climb the corporate ladder from an entry-level retail store job to a retail management position. But these days, most headquarters jobs require specific retail education and experience, and most upper-level retail executives today start their careers in headquarters positions, not as store cashiers. Following is an alphabetical list of companies headquartered in Colorado, and the cities they are located in. Which Ohio Cities House Popular Retail and Restaurant Headquarters?